Training retention is paramount in jobsite safety. 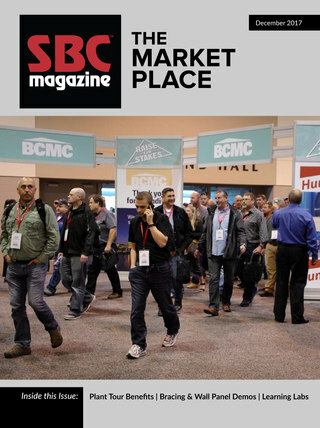 The January/February issue of SBC featured a story about FrameSAFE’s upcoming “Site-Specific Safety Plan: Fall Protection” program that’s nearing completion. The National Framers Council (NFC) isn’t planning on resting once we’ve rolled that program out to the public, though. This month, I want to talk to you about our efforts in creating FrameSAFE Safety Posters in conjunction with Toolbox Talks, which are supplementary training tools of the FrameSAFE program. Toolbox Talks highlight common workplace safety issues and general tips for a safe, efficient jobsite. Initially rolled out in October 2014 with the FrameSAFE Safety Manual, there are currently 32 separate topics in the series. Pulled from the FrameSAFE Manual, Toolbox Talks cover framing topics, which framing supervisors can discuss in a short, concise manner on the jobsite. Retention of training is paramount in jobsite safety; you must have continuous training in order to have a training system work. The documents are only one page long with a second page for employee documentation and all are graphically oriented with descriptions underneath to summarize main points. We’ve also included Spanish translations on each topic, to accommodate crews in the southern regions of the country. Every subscriber to FrameSAFE has access to pdf versions of the series to use at their disposal. We’ve decided to take things one step further with Toolbox Talks, however, and we will release FrameSAFE Safety Posters in early 2015. These posters will correspond with Toolbox Talk topics and can be printed out and displayed on the jobsite for daily reminders. Posters will have plenty of pictures and feature English and Spanish descriptions. Our goal is to cover 52 separate topics in the Toolbox Talk series with supporting Safety Posters, so framers can have access to weekly training. FrameSAFE is more than just a safety manual; we’ve created it to be a training tool that workers and employers can use to find everything they need in one product. I had the opportunity to deliver a presentation on behalf of NFC that focused on the FrameSAFE program at this year’s International Builders’ Show® (IBS). The presentation was well-attended and sparked numerous questions, many of which led to small breakout discussions between builders and framers afterward. In its first 18 months, FrameSAFE has clearly drawn the attention of framers around the nation and proved the industry needs this program. 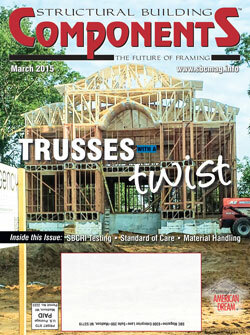 We’re listening to the needs of framers, builders, general contractors and suppliers. It doesn’t matter what part of the country we work in; we all have to deal with a lot of the same problems. Together, we can bring standards to our industry, and I can assure you, we’ve just begun providing support to the framing community. Kenny Shifflett owns Ace Carpentry in Manassas, VA, and has been in the framing industry for more than 40 years. He serves on NFC’s Steering Committee and chairs the Council’s Safety Subcommittee. For more information about the National Framers Council and the FrameSAFE program, visit framerscouncil.org. Samples of all available Toolbox Talks and Safety Posters are also available to view on the FrameSAFE page of the website.